The final part of our New England tour in autumn 2016 saw us travel down the New England coast and spend a couple of days on Mount Desert Island, visiting Acadia National Park. 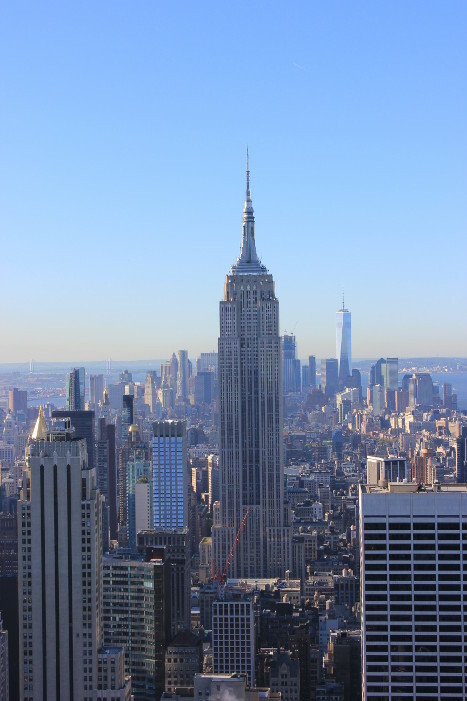 We then headed back to New York, where we spent a couple of days before flying home. 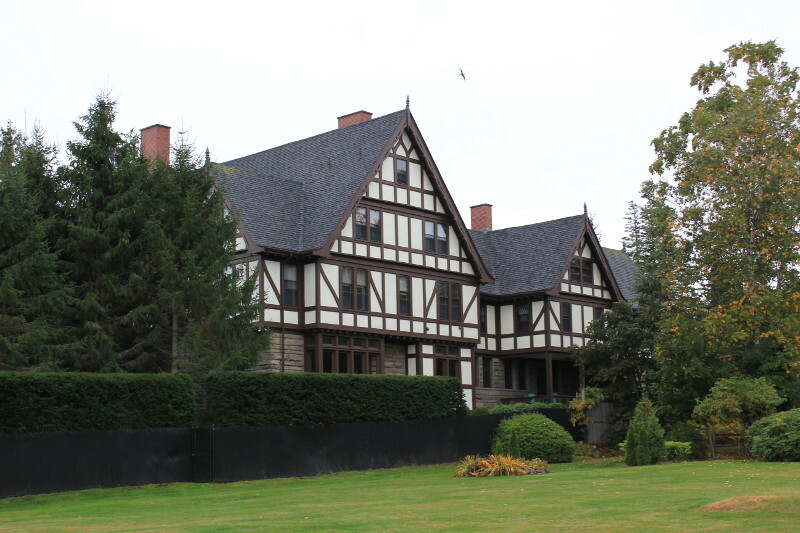 A mock tudor house on the shoreline of Mount Desert Island — one of a row of large, luxurious holiday homes lining the coast near Bar Harbour. 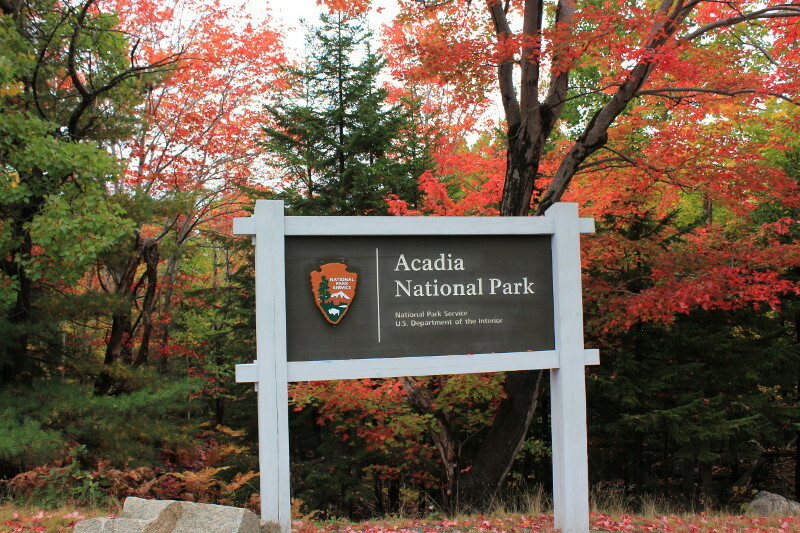 Entering Acadia National Park on Mount Desert Island, Maine. 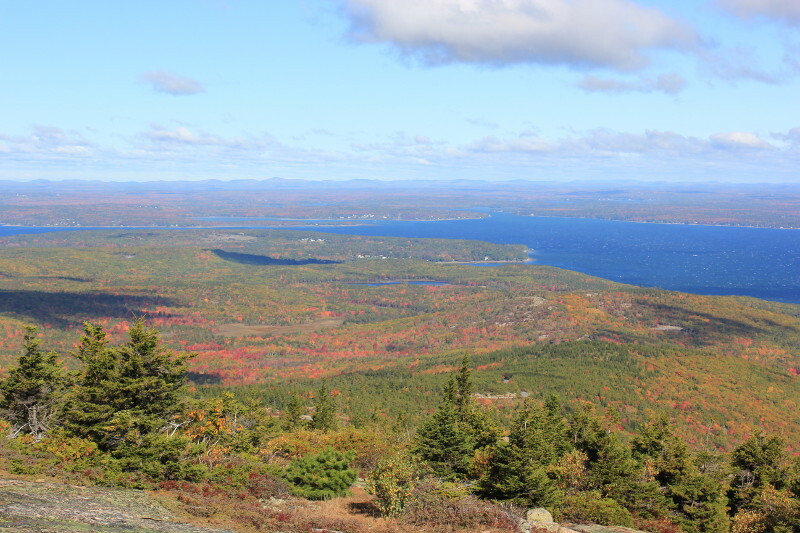 A view from the top of Cadillac Mountain. You can drive up, but we parked at the foot of the trail and then hiked up. It took us about 1h10m to walk up the North Ridge Trail. 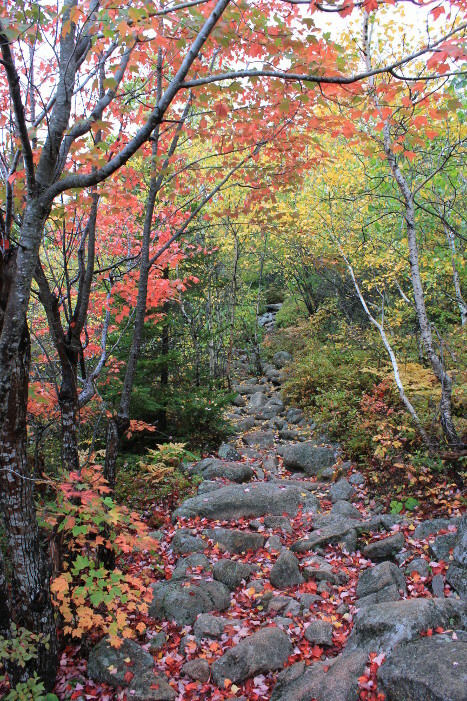 We’d have liked to walk down the South Ridge Trail to make a circular route, but the park buses were running on a slimmed-down schedule as it was the end of the season. We couldn’t get back to the car without spending the whole day getting around the park. 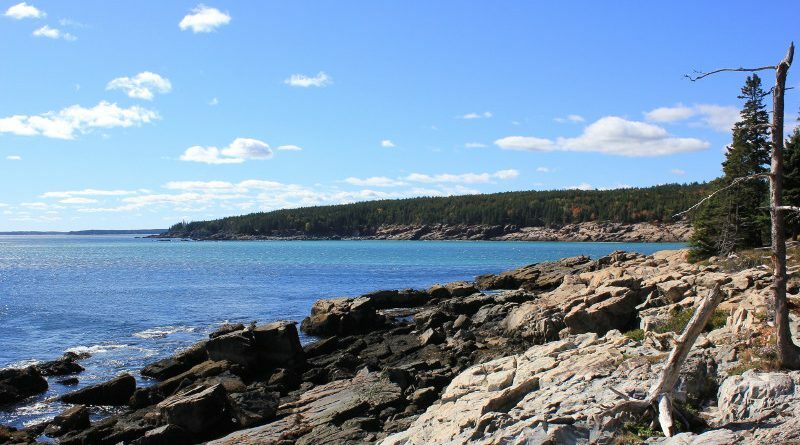 Stunning views (and weather) at Otter Point, at the far end of the popular coast path in Acadia NP. A very pleasant and easy walk. We did it after coming down from Cadillac Mountain. 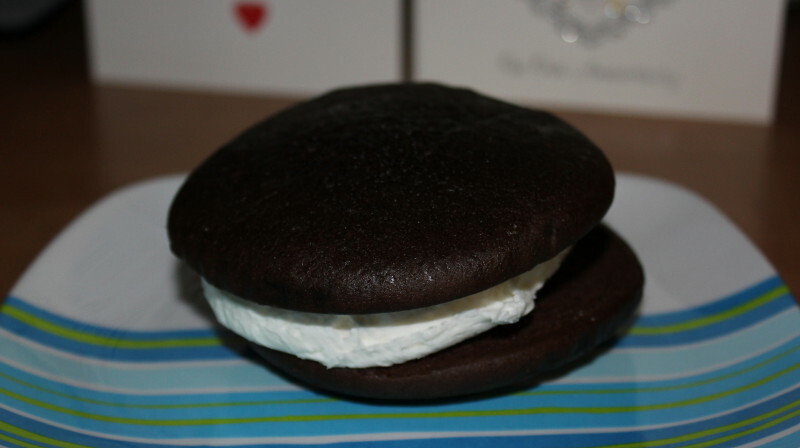 This bad boy is a whoopie pie, a New England specialty. It ticks all the boxes for a guilty pleasure: chocolate sponge filled with a thick filling that tastes like a mix of marshmallow and buttercream. You know you shouldn’t, but you just have to. On sale everywhere. Fresh ones are better — perfect to share with a coffee at a refuelling stop. 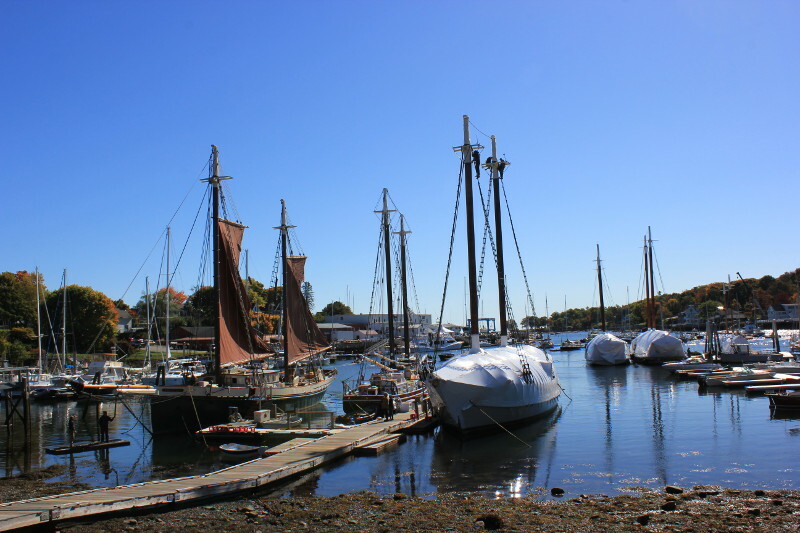 Windjammers at Camden: we were hoping to see more like those on the left, but these antique sailing ships are wrapped up for winter, as you can see on the right. We were just in time to catch the last few before they were bedded down for winter. 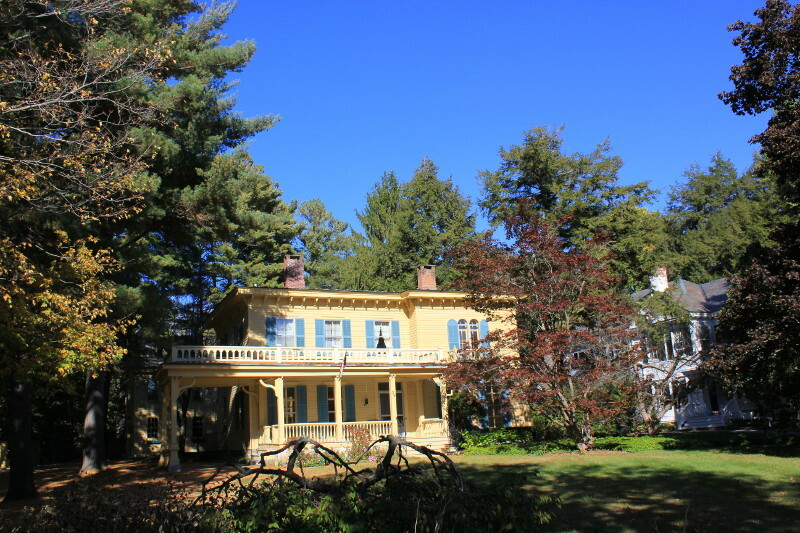 One of the oldest houses in America? 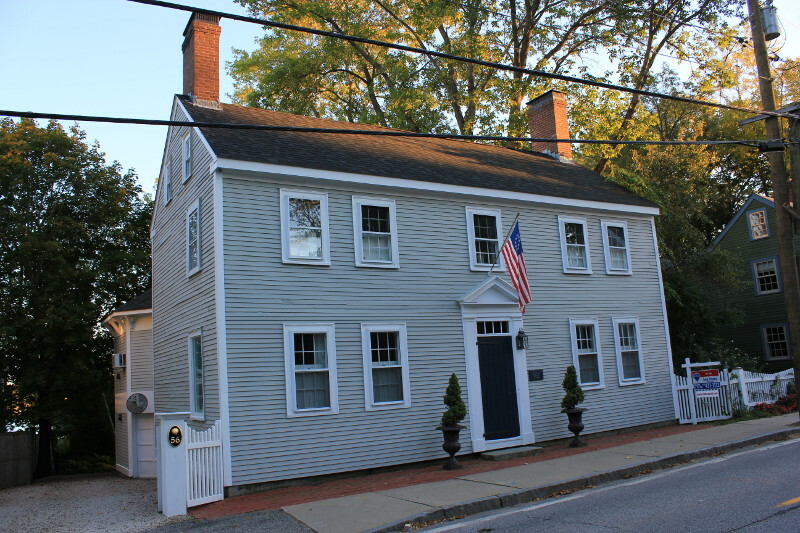 The house in Portsmouth, New Hampshire, was built in 1720, according to a plaque by the front door. 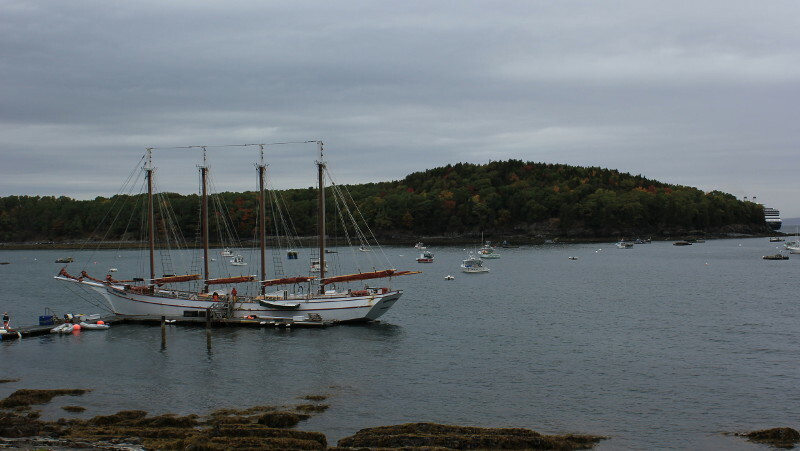 That’s only about 100 years after the first English settlers arrived in America. Old houses aside, Portsmouth was upmarket, expensive and with a decided hipster vibe. Stockbridge, Massachusetts. 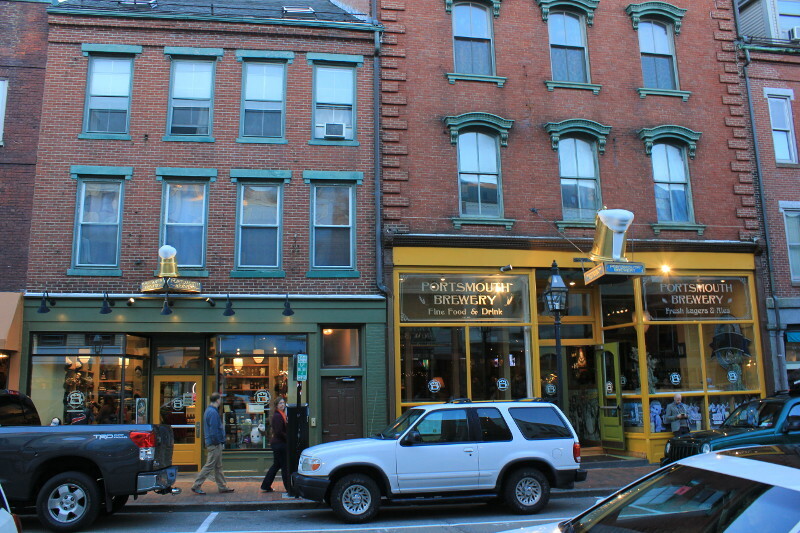 This town in the Berkshires was upmarket and expensive, but beautifully well preserved, with wide, tree-shaded streets. Halloween displays were everywhere. 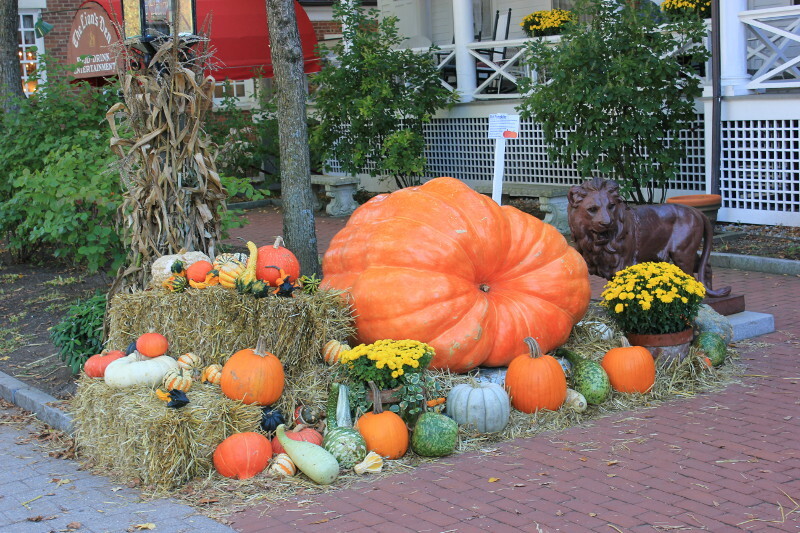 Some were far more spooky, but this impressive horticultural effort was outside a hotel in Stockbridge, MA. 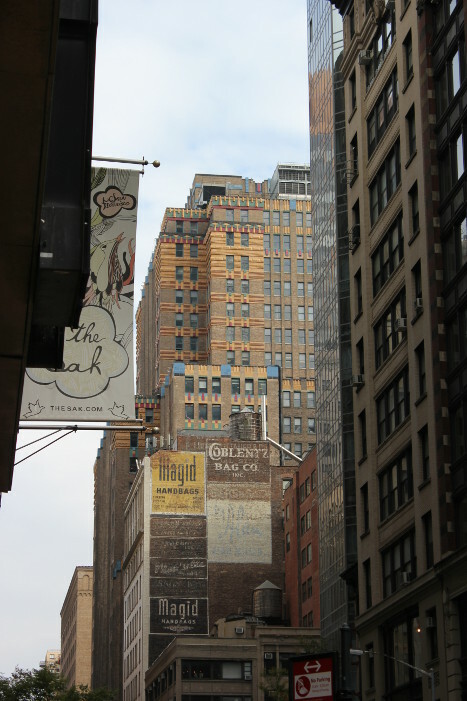 Advertising on an old building in New York. 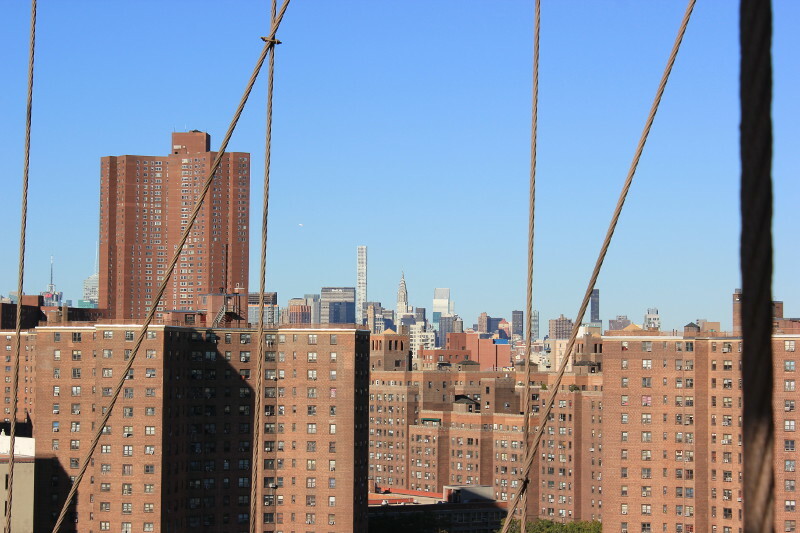 A glimpse of history in this relentlessly developed city. 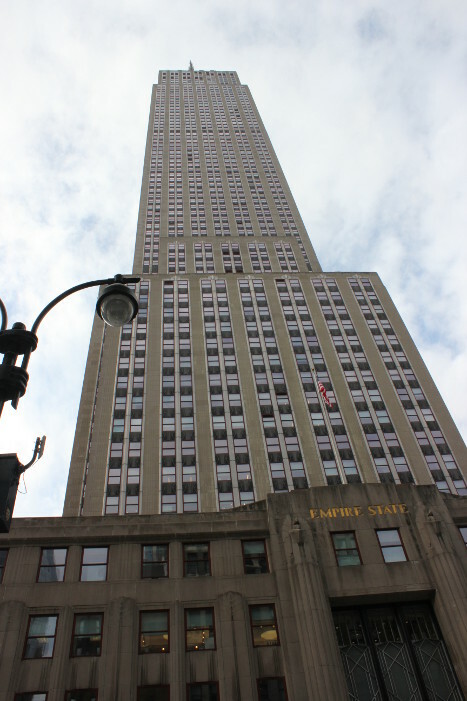 Another highlight of New York is its art deco architecture, as personified by the Empire State building. It’s hard to photo from the ground! 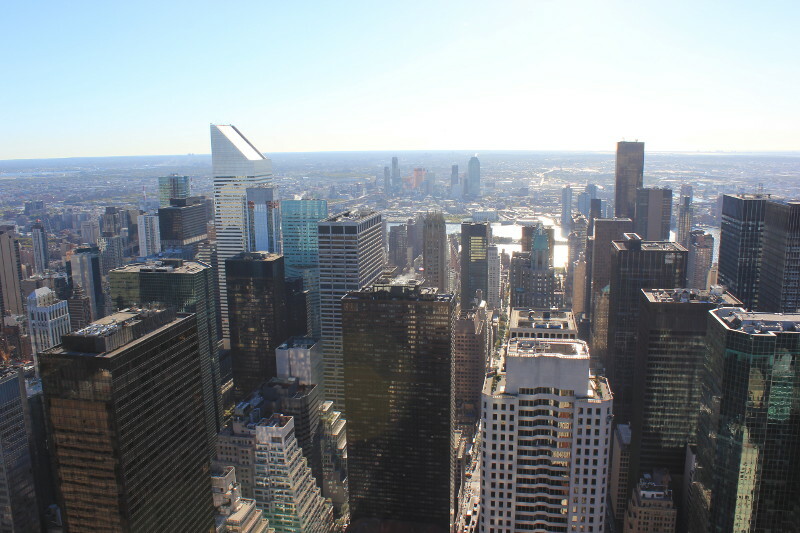 Central Park seen from ‘The Top of the Rock’ — the roof of the Rockefeller Center. This was far better than I expected, and well worth the time and money. The Statue of Liberty, seen from the (free) Staten Island Ferry. We decided not to visit the island itself. On the mainland, there were long queues and airport-style security. As you may be able to see in the picture, there are more long queues at the base of the statue on the island. And ultimately, there didn’t seem to be any real point in paying to visit, just to get within touching distance of the statue. 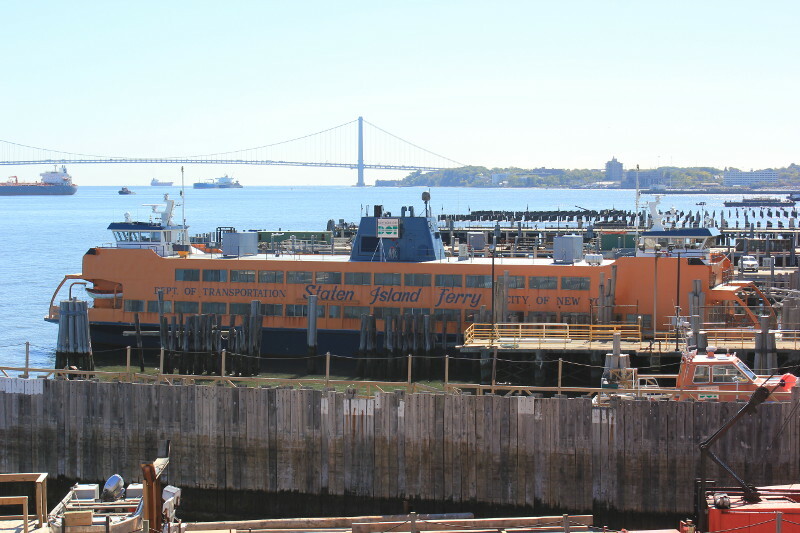 The Staten Island ferries are large, free and run regularly. 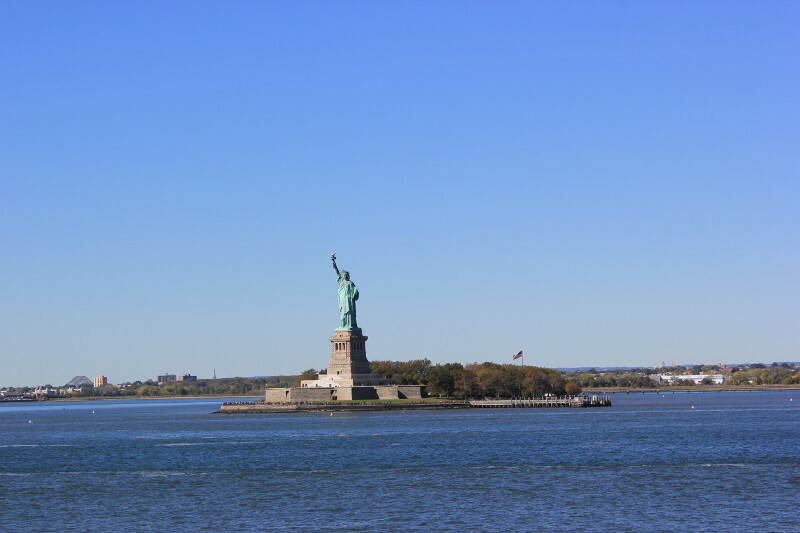 Queuing is minimal compared to the expensive tourist boats, and you get a great view of the Statue of Liberty and the wider harbour area. 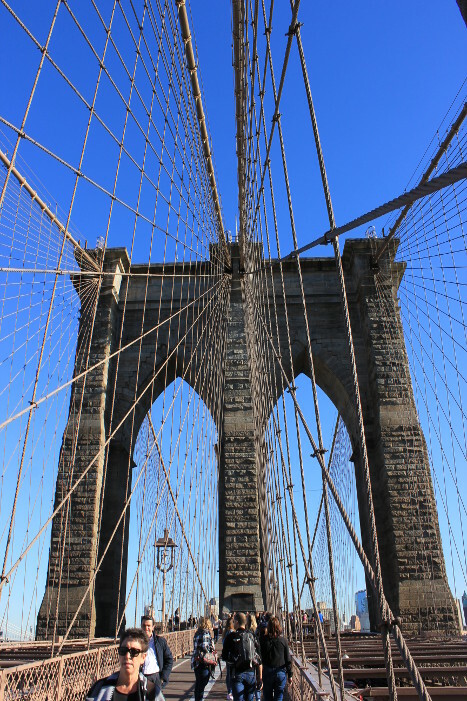 Even if you don’t want to visit Staten Island, a return trip on the ferry is worthwhile. 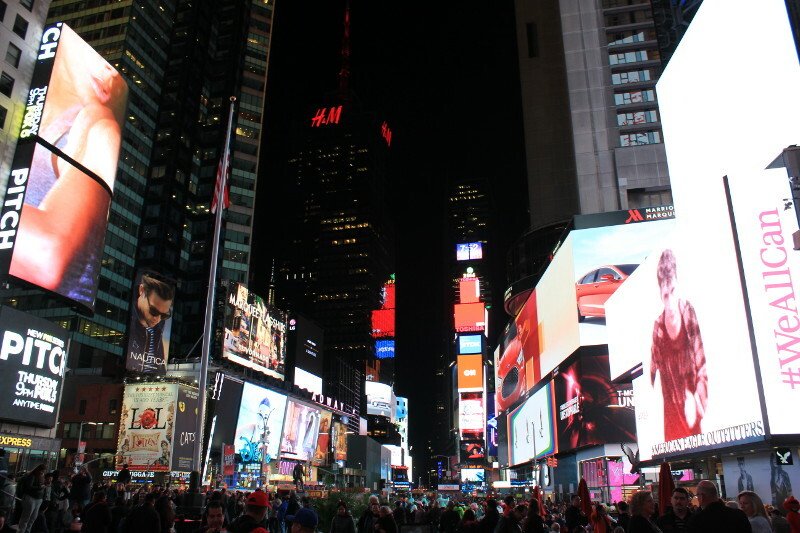 Times Square at night. 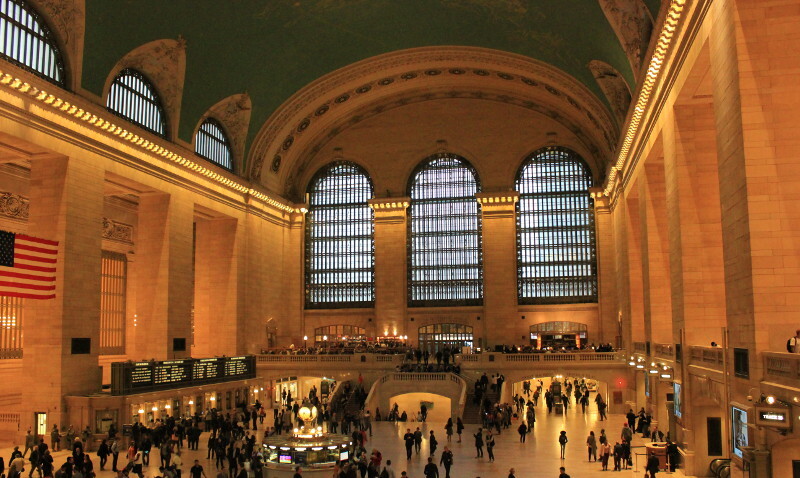 It appeared to be rammed with tourists, street artists and ticket touts almost 24 hours a day. It’s all a bit tawdry, really. 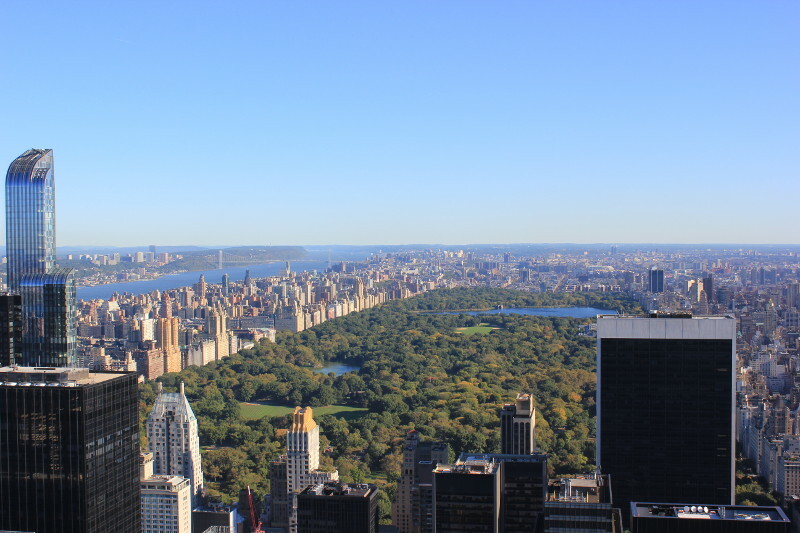 Somewhere that isn’t tawdry is Central Park. 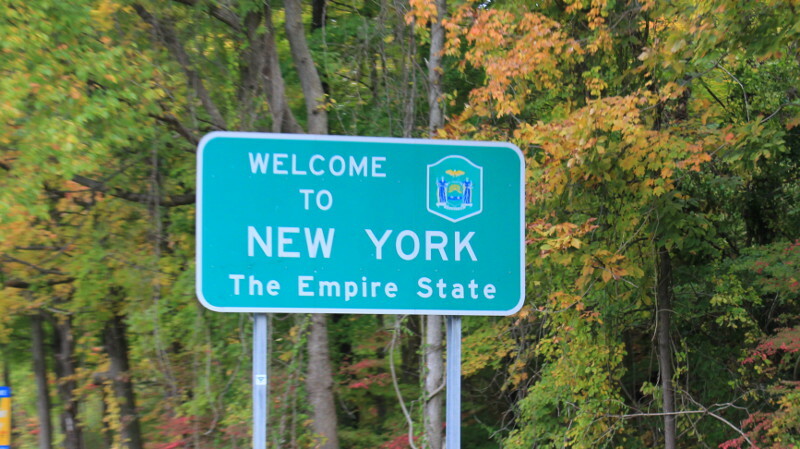 It’s busy, but still offers an 843-acre oasis of green in the centre of New York. 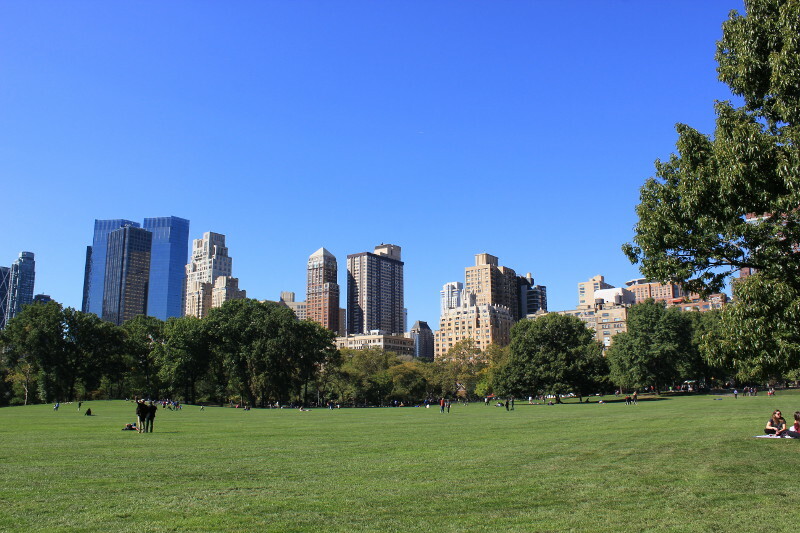 A good place to unwind — worth walking a little way into the park to escape some of the crowds.